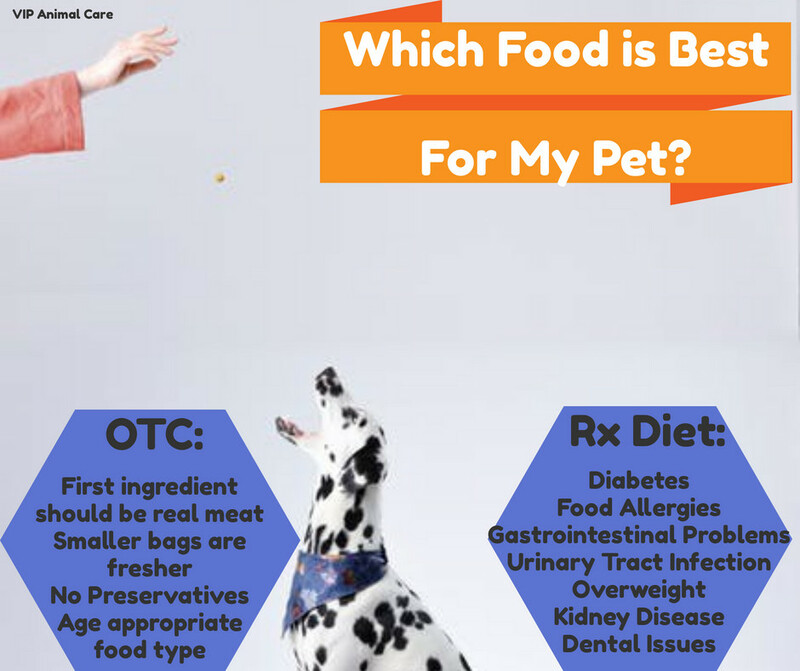 Many clients want to know if their pet needs a prescription food and if not, which brands are best? There is no perfect answer except it depends! The best Over the Counter (OTC) food can be found by comparing nutrition labels along with your pets age and health status. That may seem like a copout, but there are so many brands of pet food and more coming out every day, it is hard to say jut one brand is the best. The ingredients should start with real meat. You do not want to read meat byproducts, or grain meals; and especially not products you can’t pronounce or have no idea what they are. Just because it says no preservatives, doesn’t always mean no preservatives. Many times it is cheaper to buy the big bag, but smaller bags mean getting fresher ingredients because it is used up quicker. If your pet has a medical condition or health issue, a prescription diet can provide a wonderful addition to help your pet through this time. Sometimes it may be short term prescription diet and other times the rest of your pet’s life. Some of these include: Diabetes, Kidney Disease, UTI, Hairballs, food allergies, Overweight, Gastrointestinal problems, Dental Disease, or Overactive Thyroid.